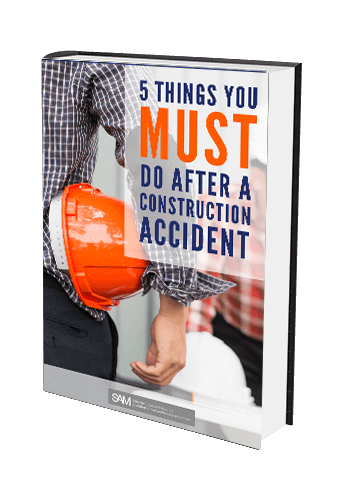 Construction Accidents FAQ | New York Personal Injury Lawyer | Silberstein, Awad & Miklos, P.C. 1. Question: What is the Scaffold Law and how does it affect safety at construction sites in New York? Answer: Labor Law Section 240, the Scaffold Law, requires building owners and general contractors to provide workers proper scaffolds, hoists, harnesses, and other appropriate work site safety and equipment. If a construction worker is injured because the owner or general contractor failed to provide safety equipment, then the owner or contractor can be held responsible. 2. Question: How does the Scaffold Law make New York different from other states? Answer: New York State’s legitimate construction industry is virtually the safest in the nation, thanks in large part to the Scaffold Law and other safe construction work site state laws: Labor Law sections 200 and 241. According to statistics compiled by the United States Department of Labor, New York State consistently ranks as the second lowest rate of construction injury among the fifty states. 3. Question: Do New York’s construction safety laws, Labor Law §200, 240 and 241, favor the employee or the employer? Answer: New York’s safety laws favor both the employee and the employer. The employee benefits from having construction safety equipment available at the work site to protect him or her from harm. The employer benefits because when injuries are prevented, Workers’ Compensation insurance rates remain stable. 4. Question: What about OSHA? Answer: The United States Occupational Safety and Health Administration has found that 33% of all construction fatalities are from falls and another 22% are from being struck by an object. These hazards can be prevented and guarded against under New York State’s Scaffold Law. A review of 2600 OSHA construction site inspections in New York State revealed violations of construction safety standards in 62% of all inspections. 5. Question: Do the New York State Labor Law construction site safety sections apply to all work sites? Answer: The Scaffold Law specifically does not apply to owners of one or two family dwellings. The other sections (200, 241) of the Labor Law apply only if the owner actually controls or supervises the construction. 6. Question: How do the New York State Labor Laws regarding construction sites promote worker safety? Answer: Without the Scaffold Law, more building owners and contractors in the highly competitive construction industry would cut corners on safety. The owner who signs the construction contract and makes the payment can and should insist on full compliance with all safety standards. By making building owners and general contractors responsible for work site safety, the Scaffold Law effectively ensures that workers will be safe and secure. The Scaffold Law also deters owners and general contractors from hiring subcontractors who have poor safety records. 7. Question: What are the damages that a construction worker can sue for under the New York State law? Answer: The damages include loss of earnings, medical expenses, rehabilitative expenses, compensation for the pain inflicted, compensation for permanent disability, and more. 8. Question: What about Workers’ Compensation? Answer: Workers’ Compensation is provided through the employer’s insurance company, allowing for immediate coverage of medical and hospital expenses. Workers’ compensation money received by the injured worker must be paid back to the insurance company when there is a recovery in a personal injury lawsuit. 9. Question: What qualifications should an injured person look for in a lawyer to represent them in a construction site injury? Answer: The most important qualification is experience. An experienced lawyer’s knowledge and wisdom from other cases can always make a big impact in the results of a case. Integrity, trust and concern are also qualities that clients need from their injury attorney. 10. Question: How are construction injury lawyers compensated? 11. Question: Can I sue if I am not a citizen or I am an undocumented worker? What happens if I was paid off the books? Answer: Citizenship or legal status is of no importance in bringing a lawsuit. Anyone and everyone can bring a lawsuit if they are hurt on the job. You can even bring a lawsuit if you are paid off the books. Being off the books may affect how much money you can recover for lost wages, but this depends on the circumstances of your case.